Offered here is a second year of issue Dexter Press Postcard of Willie Mays. 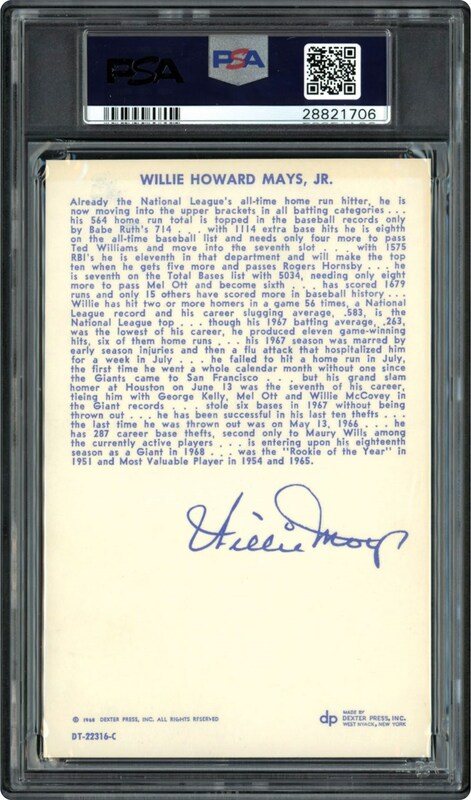 A total of 77 players were issued in the 1968 series. These Postcards were issued with borderless color images and a facsimile auto and bios on the reverse side. 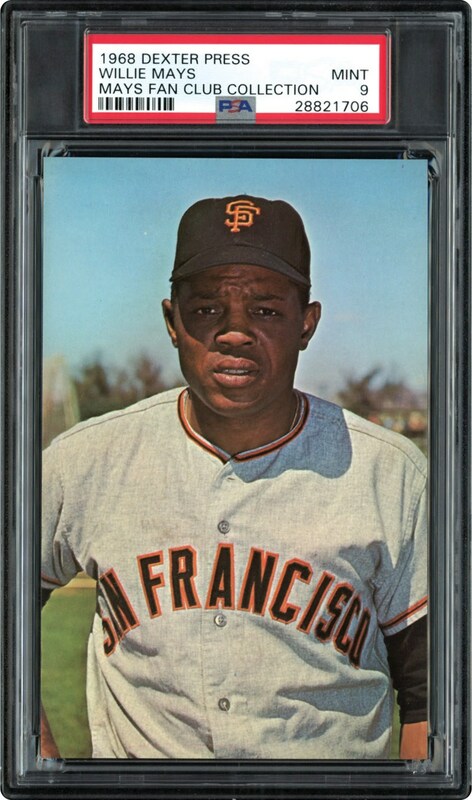 This Willie Mays Postcards is a POP 2 PSA 9 MINT card with nothing grading higher.